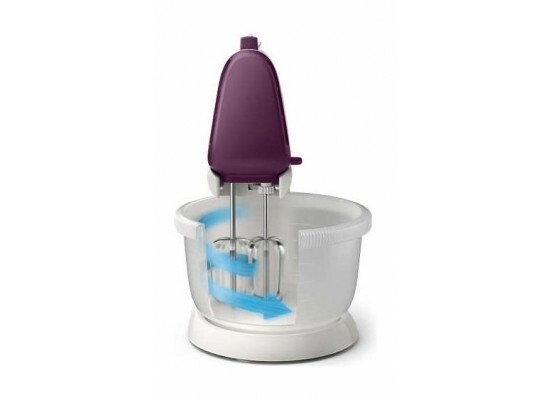 The unique conic shaped beater allows maximum incorporation of air that contributes fluffy texture and smooth cake batter. The powerful 450W motor will make light work of the toughest of doughs. 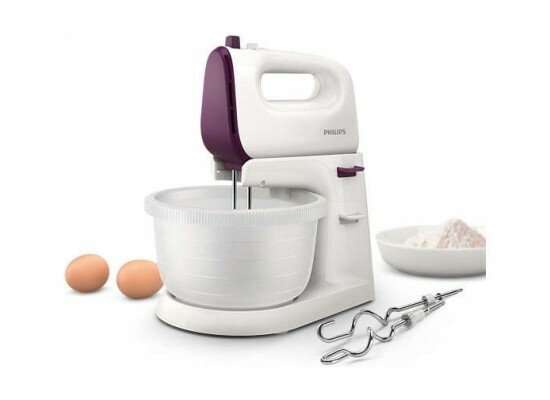 The bowl was designed to seamlessly match the conic shaped beaters for best mixing results. 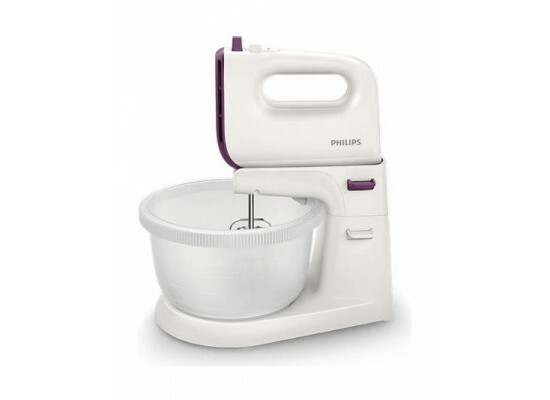 The automatic driven bowl rotates to allow for better and more thorough mixing. Beaters have been designed with a different pattern on one end to be intuitively assembled for a quick setup. The suction feet keeps your stand and bowl mixer stable & grounded to the surface.